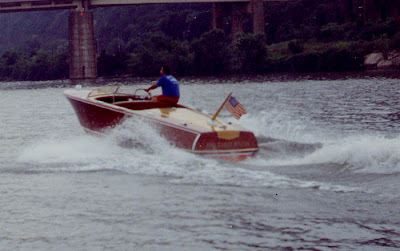 More Classic Movie Boats. Get Out The Popcorn! Very early in the shooting of the film Pat Curtin at the wheel of 21CP141. Keeping the movie theme of the week. The other cool woody boat movie is Striking Distance with Bruce Willis. And of course, our own Woody Boater Pat Curtin was also a part of it. I wonder if one of these will come up on eBay? 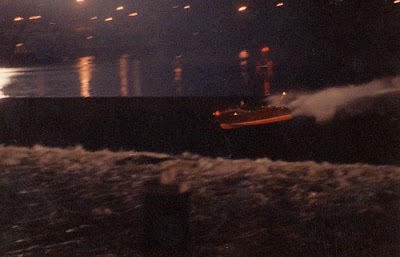 Here is the story thanks to the Allegheny Chapter of the ACBS and the century power boat web folks. By Never Ending Popular Demand! Flags! Macatawa Bay Boat Works had something to do with this boat. I tried to post a link from their site, but the comment box won’t let me.